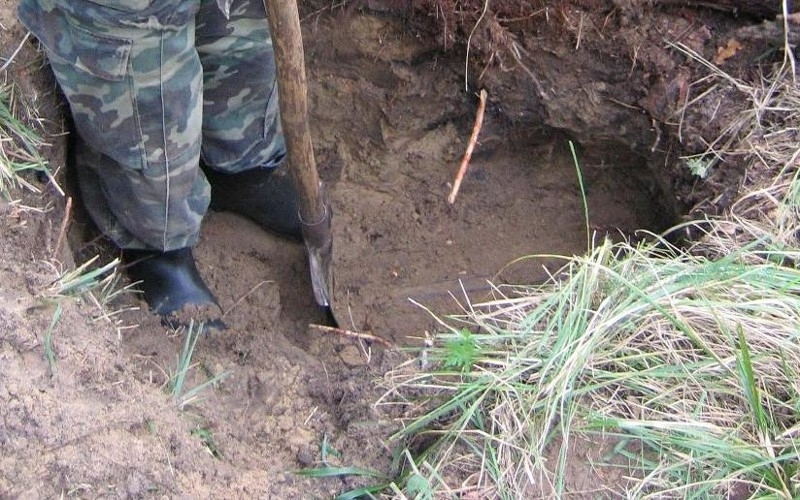 Citizen LUKICHEV Dmitry discovered some buried treasure from the Second World War at his summer cottage in Besh-Kungei. 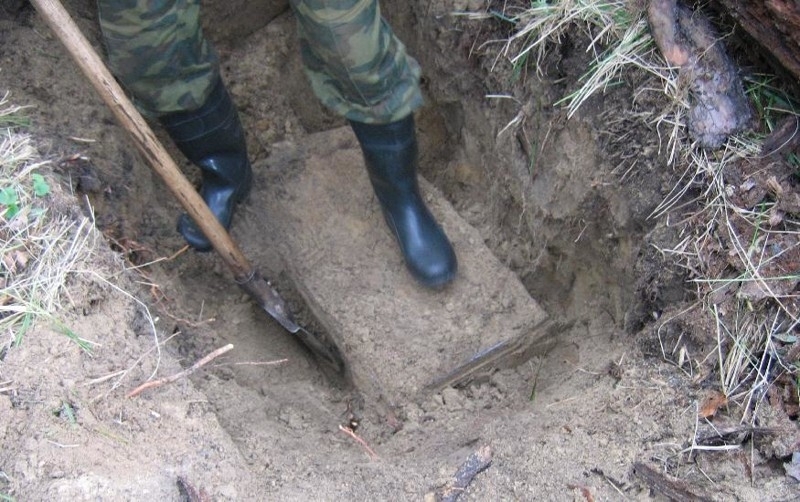 A few minutes after the start of digging a cesspool for his outdoor toilet, the shovel hit something metallic, which turned out to be an army field locker of the Third Reich. 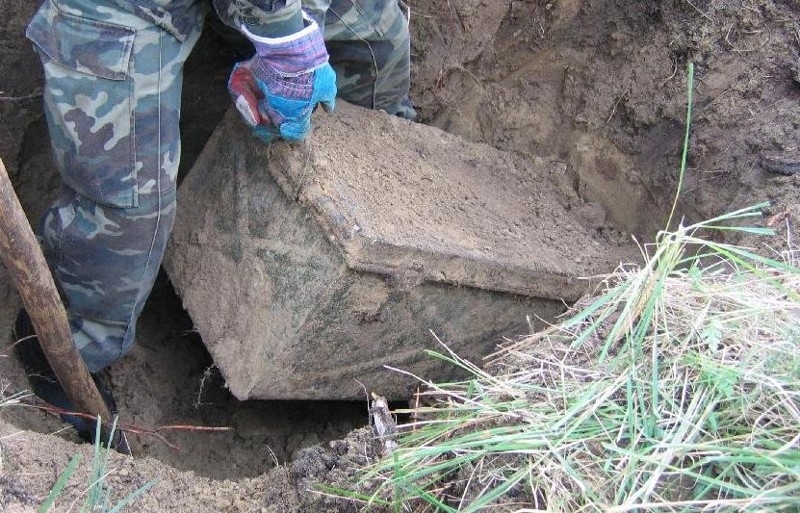 The box was lifted to the surface: it was not very heavy, but judging by the sounds, there was something inside clattering, while the box was being pulled out of the hole. It is difficult to describe all of our feelings when we saw this kind of message from the last century taken into the light. The box has been opened using the materials at hand. 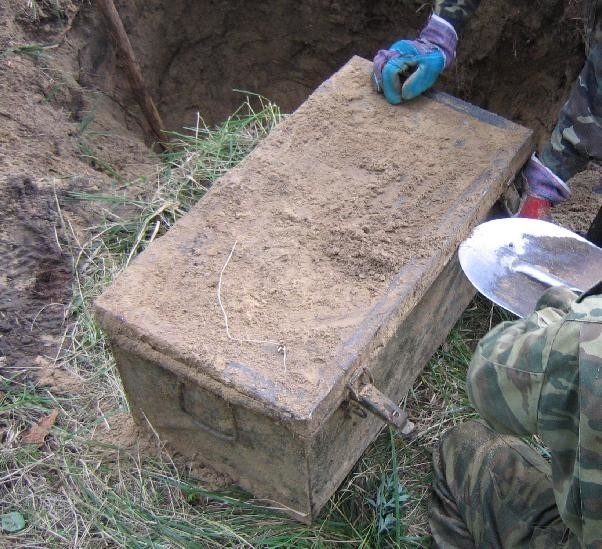 The contents of the box appeared to be the baggage parcel of 1944-1945, which has lain in the ground for at least 60 years. The box lid was tightly insulated with a rubber seal, so that the contents of the “parcel” were almost not affected by moisture. In the photo: glasses in a light case with «Mastenbrille» inscription were in the center, a folded vanity case with toiletries in the pockets can be seen at the top. There were also gloves, a sweater, removable collars, braces, socks with foot bindings, dust masks and a clothes brush in the box. 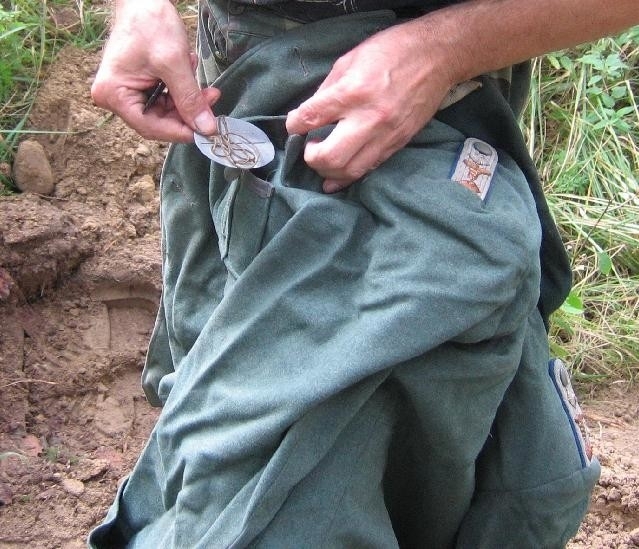 A stock of fabric and leather for repairs was found in a large bag tied with twine at the bottom. There was also some chemical granules with a pretty much preserved smell, scattered among the things – probably to preserve them from moths. 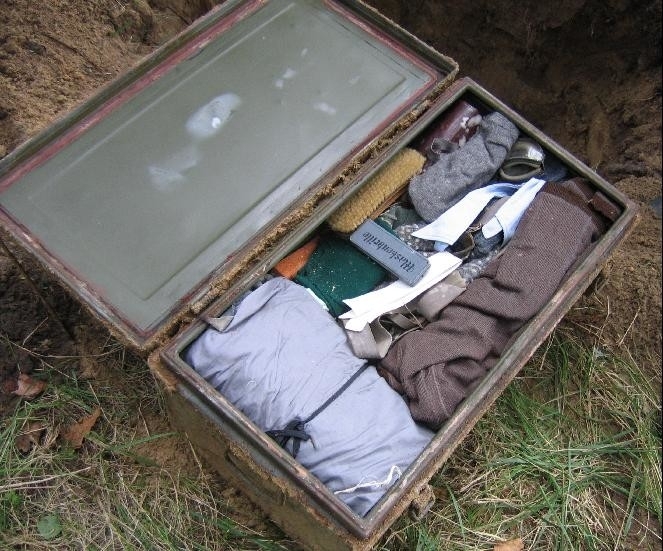 Unfortunately, no documents of the officer whom the contents of the box could belong to, were found. How could the baggage parcel sent from Germany to the military front end up in the suburban village of Bishkek? After announcing the victory in the war, as well as in the months before the victory, the unit commanders of the armed forces of the Soviet Union that occupied the territories occupied by the fascists were allowed to dispose of captured weapons, equipment and uniforms, if this didn’t contravene the Geneva Convention. 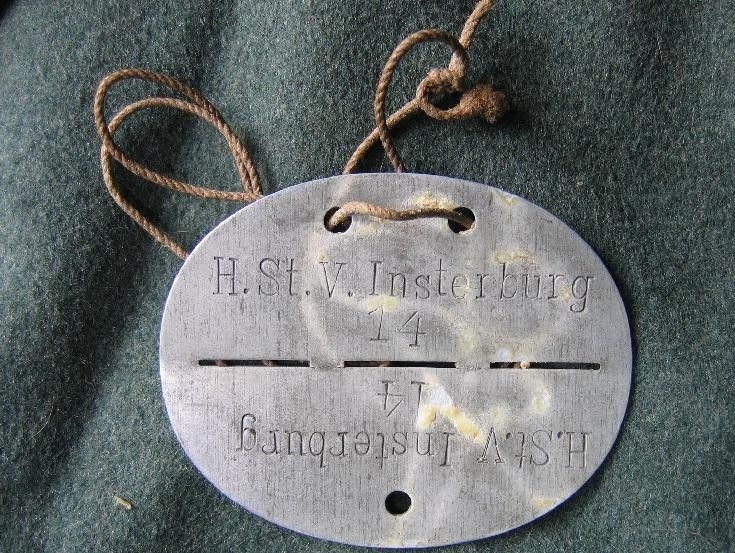 One soldier was allowed to send home a parcel weighing up to 6 kg once a month. During the war and the first months after its end, the soldiers mostly sent home foodstuffs and canned food – the people at home were starving at the time. But it was totally pointless and even dangerous to send such parcels with a complete outfit of a German officer back to the Soviet Union – neither the NKVD nor the district committee or the neighbors would understand this gesture. 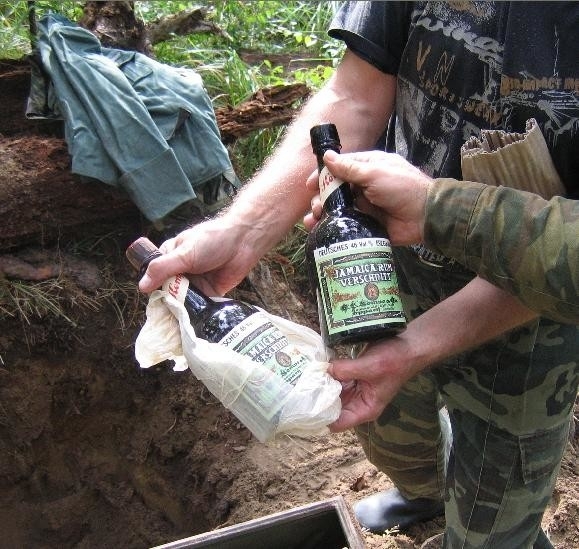 Therefore, we are dealing with an ordinary human mistake: instead of one parcel packaged by the Soviet soldier, another parcel was sent, the one packaged by the German material provision service – this was quite possible in the military, pre-victory or postwar turmoil. 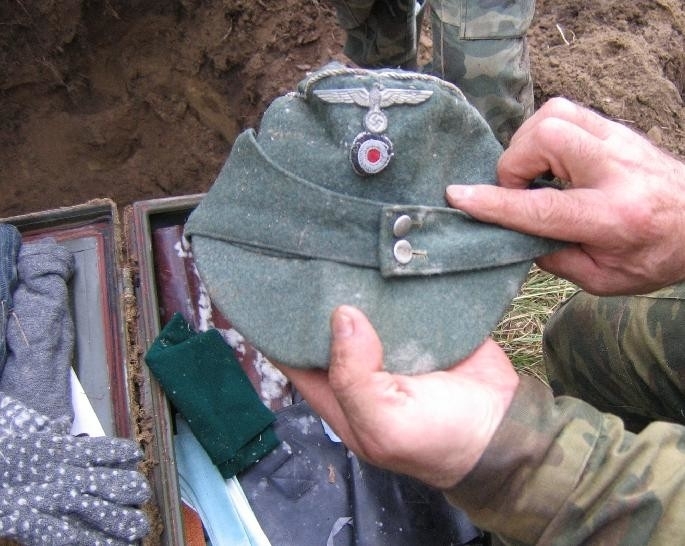 The addressees of the cargo most likely lived in Frunze or its suburb and, having received such a “surprise” from the front, quite naturally decided to get rid of it by burying the box in the mountains. 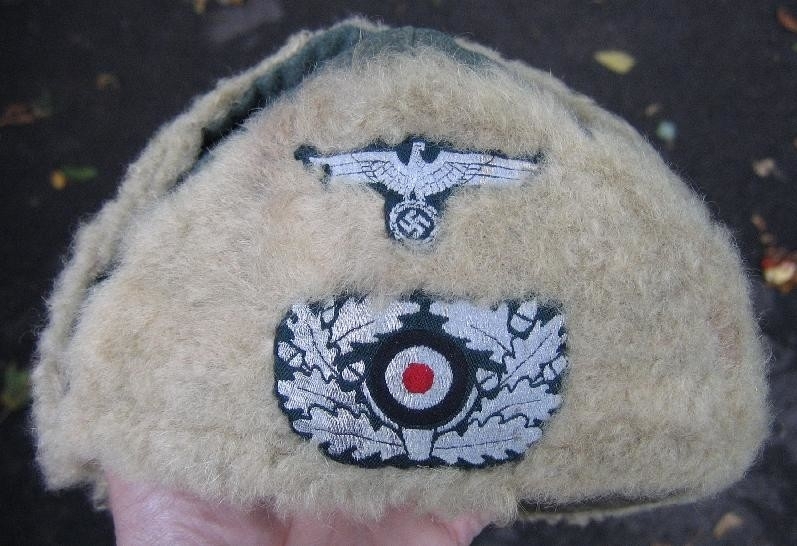 Judging by the badges of ranks on the shoulder straps, the addressee was supposed to be an officer of the Financial Service of the Third Reich in the rank not lower than a field officer. At the end of the war, when Germany’s resources began to dry up, not only teenagers of the Hitler Youth, but also officials were forced to take part in the fighting. Apparently, this officer packaged his uniform and sent it as the luggage to receive it directly at the front, but had no time to use it. 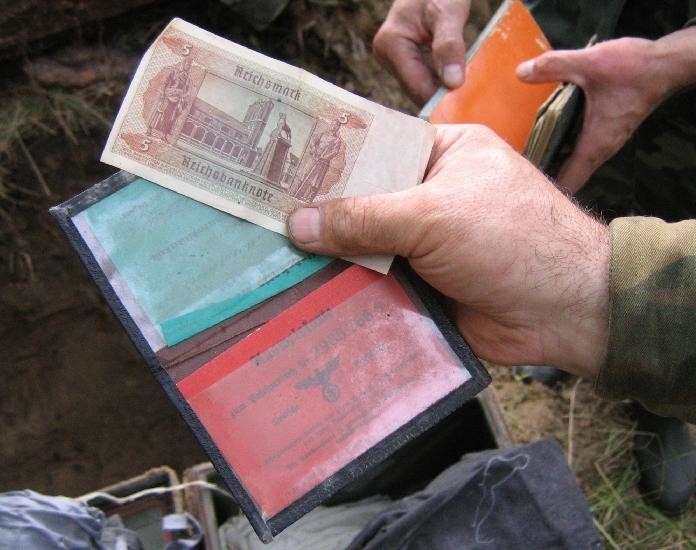 I’m not sure, but that photo 4-13 seems to give some clue on the identity of the soldier, the red card reads “Ausweiskarte”, which means “identification card”, so I’d assume if we had a better picture of that card we would get some good hints to identify the soldier. 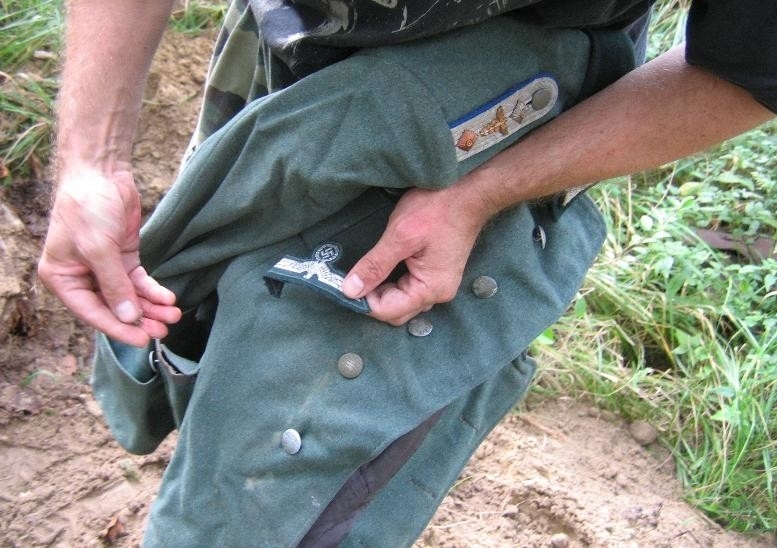 The blue line around the epaulet and on the collar is the “waffenfarbe” of the “medical branch” of the Heer. 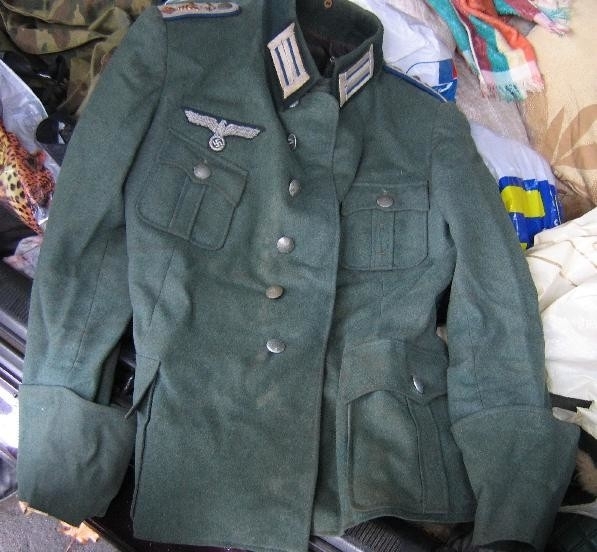 Two stars on the epaulet was worn by both Hauptmen (captains) and Oberfeldwebels (Master Sergeants), but in different styles. 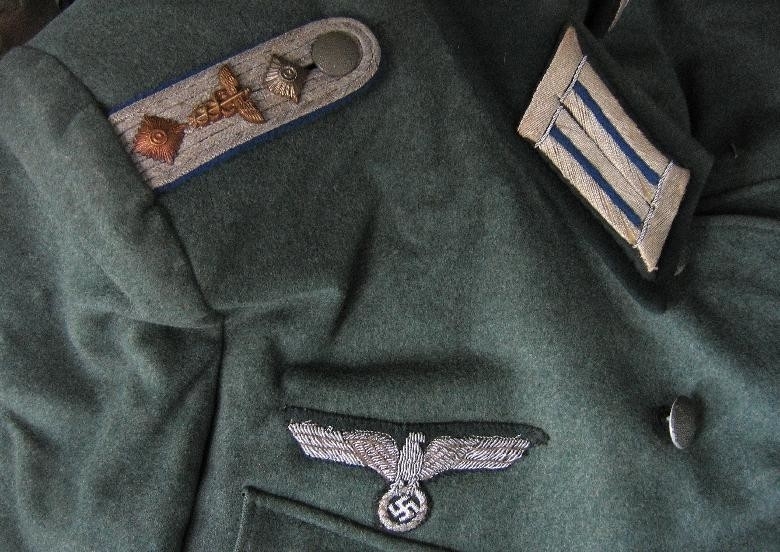 The style of the epaulette itself – made up of eight parallel lines of cloth as well as the style of the collar insignia matches that of a Hauptman. So it is the uniform for a Doctor of Medicine in the Corps of Medicine with the rank of Hauptman (captain). 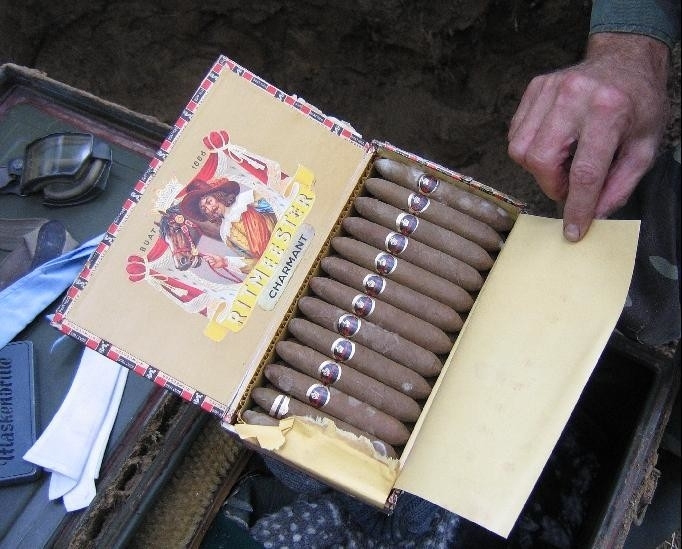 This box should be in a museum or at least sent to the family…if they can be found. I would like to see a photo of the entire contents. LOL. A lot of American kids like to think that everything is “fake”. Including proven History and hard Science. Living with the American news media has made us skeptical of everything we see on a screen.